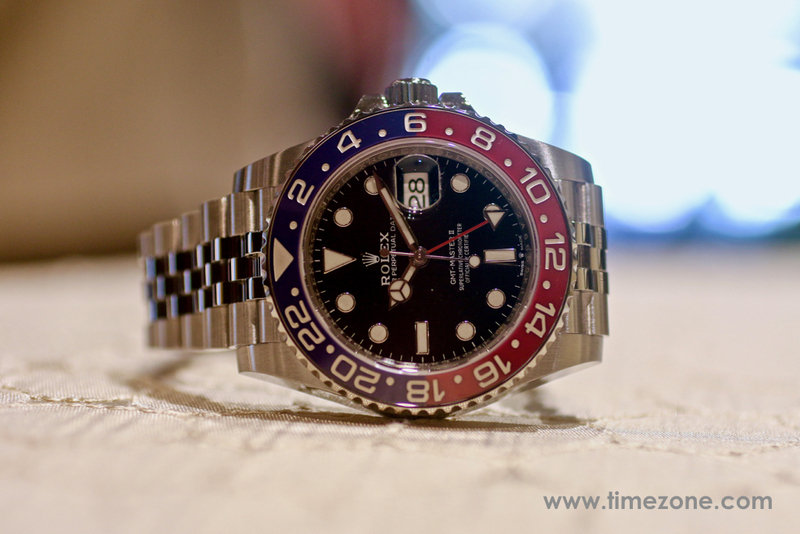 The new GMT-Master II with red & blue "Pepsi" ceramic bezel insert, and 40 mm Oystersteel case fitted with the new manufacture calibre 3285 with its patented Chronergy escapement that delivers a 70-hour power reserve. 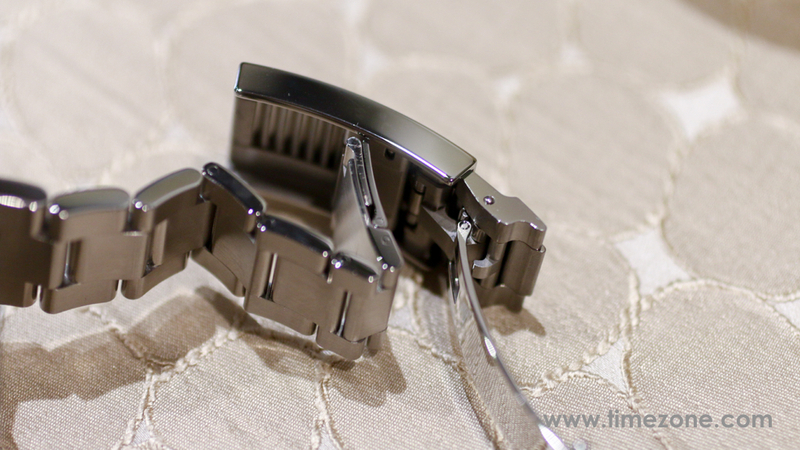 According to Rolex, the new Jubilee bracelet only fits this 126710BLRO Oystersteel case, and is not interchangeable with other cases, including the white gold GMT. 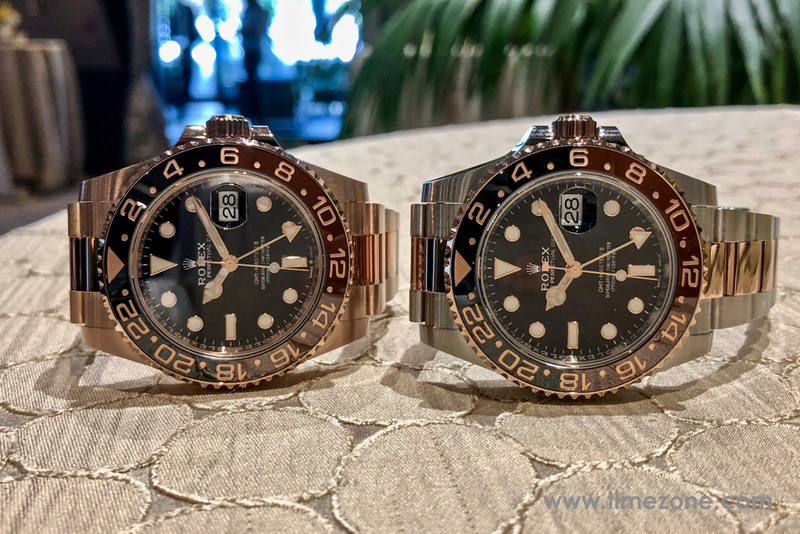 Everose gold is Rolex's exclusive pink gold alloy, and it is introduced for the very first time to the GMT-Master II range with two new models. 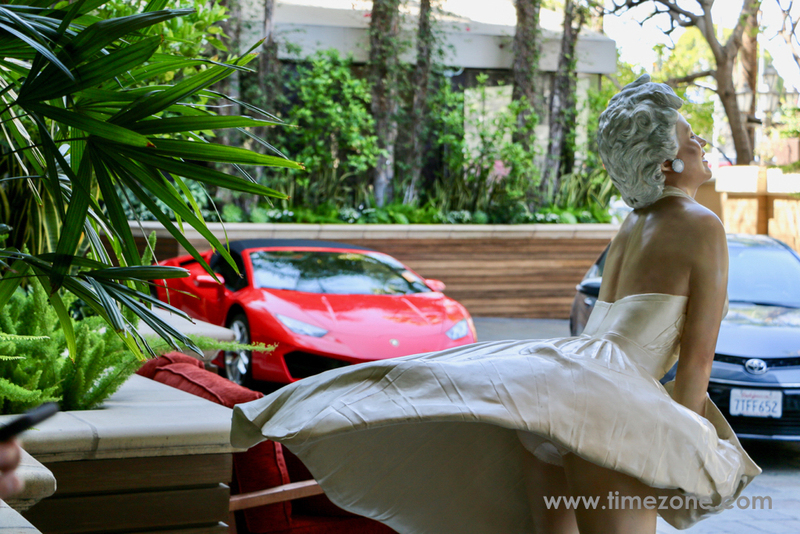 The first is crafted entirely in 18-carat Everose gold. The 40 mm Everose case is fitted with the new manufacture calibre 3285 with its patented Chronergy escapement that delivers a 70-hour power reserve. The black lacquer dial is framed by a Cerachrom bezel insert in black & brown ceramic that's reminiscent of the vintage root beer. 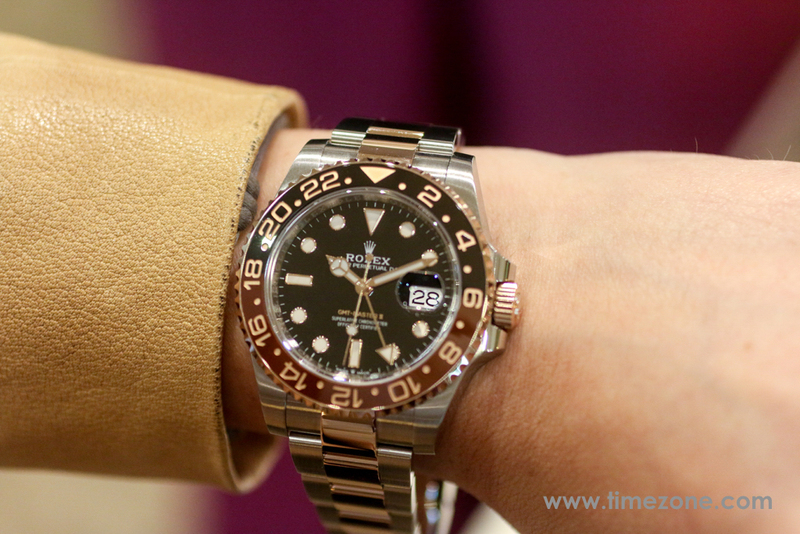 Price for the GMT-Master II Everose is $36,750. 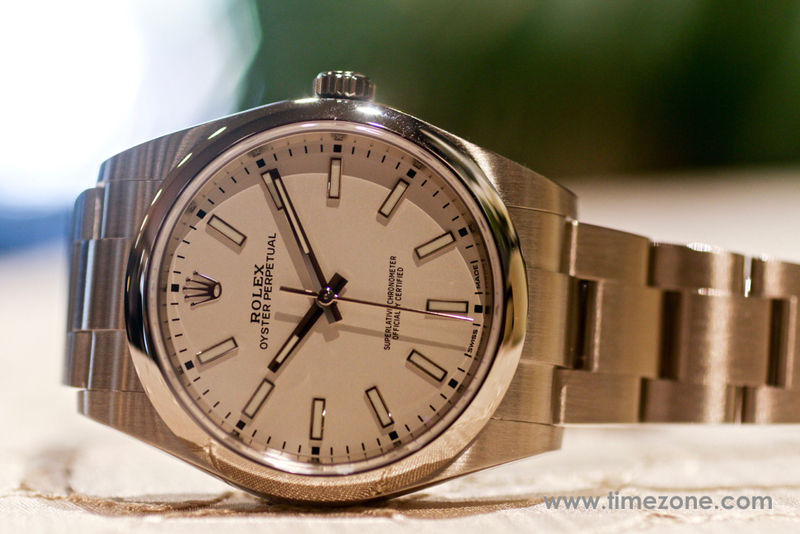 The second is two-tone, or "Rolesor" in the Rolex lexicon, combining Oystersteel and 18-carat Everose gold. 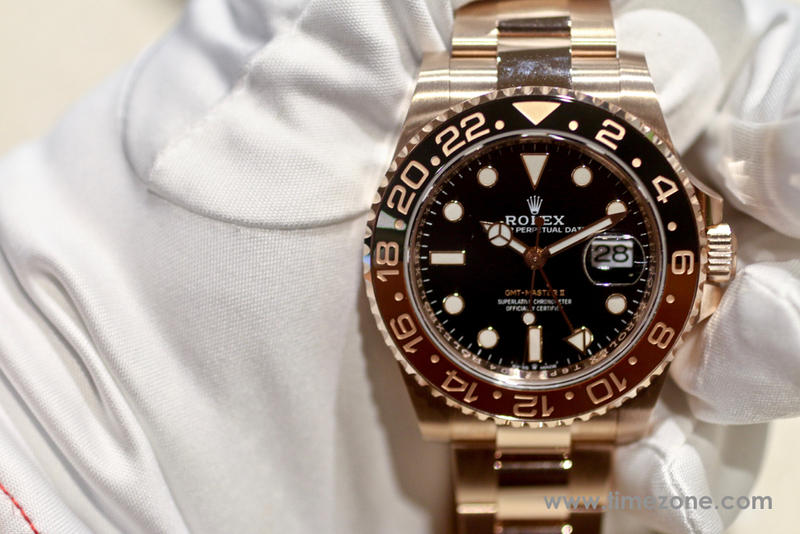 The bezel, the winding crown and the centre bracelet links are made of 18K Everose gold; while the middle case and the outer links of the bracelet are made of Oystersteel. 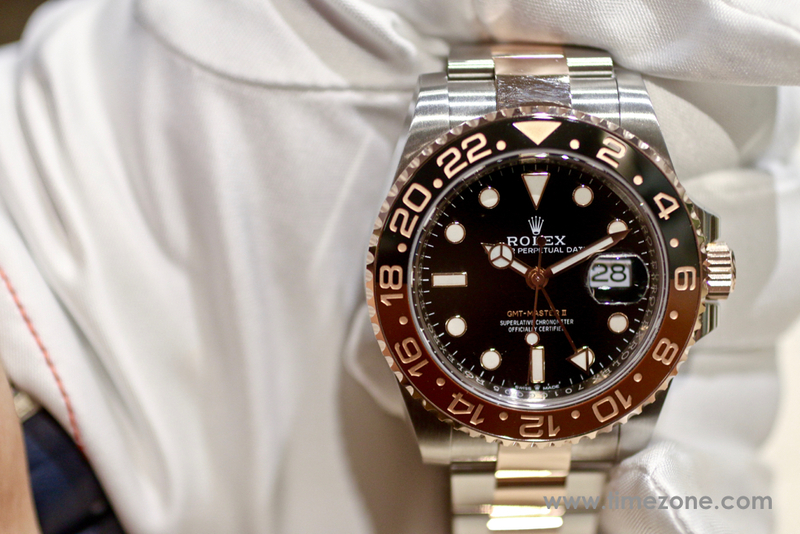 The black lacquer dial is framed by a Cerachrom bezel insert in black & brown ceramic. 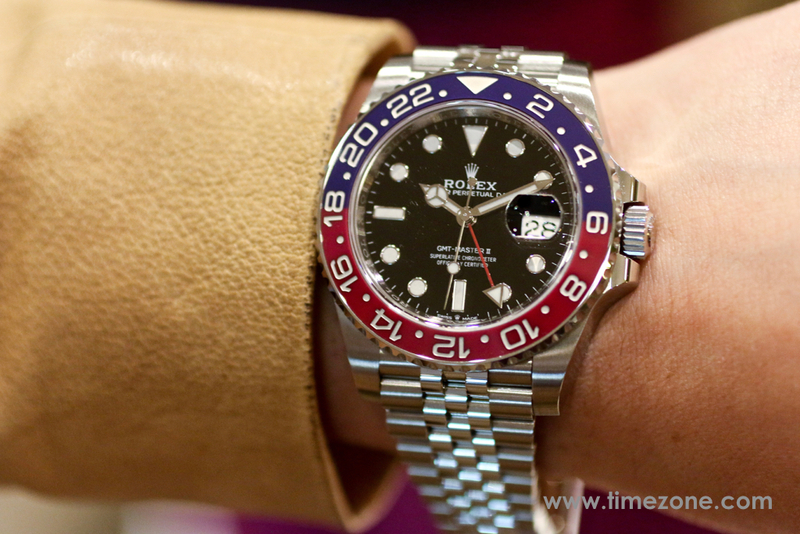 Price for the GMT-Master II Rolesor is $14,050. The new Deepsea features a D-blue gradient dial, 44 mm Oystersteel case with redesigned lugs and sides, a broader Oyster bracelet with an Oysterlock folding safety clasp. 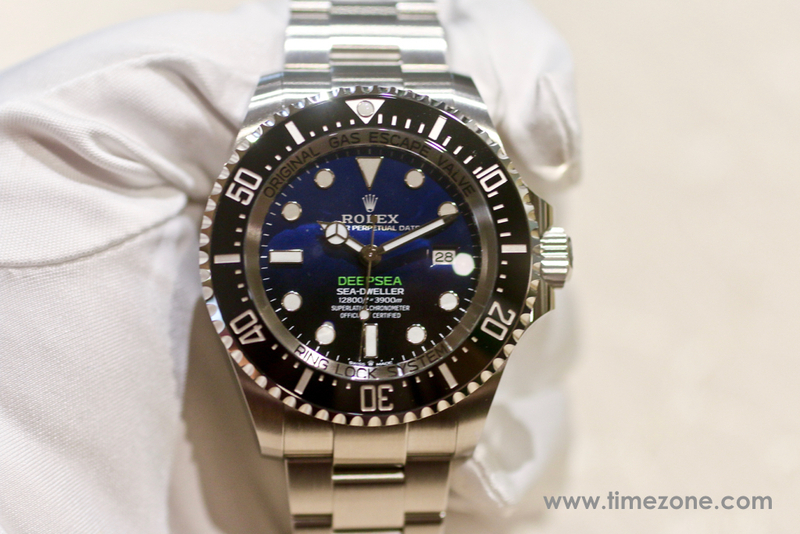 This professional divers' watch is fitted with the manufacture calibre 3235 with its patented Chronergy escapement that delivers a 70-hour power reserve. 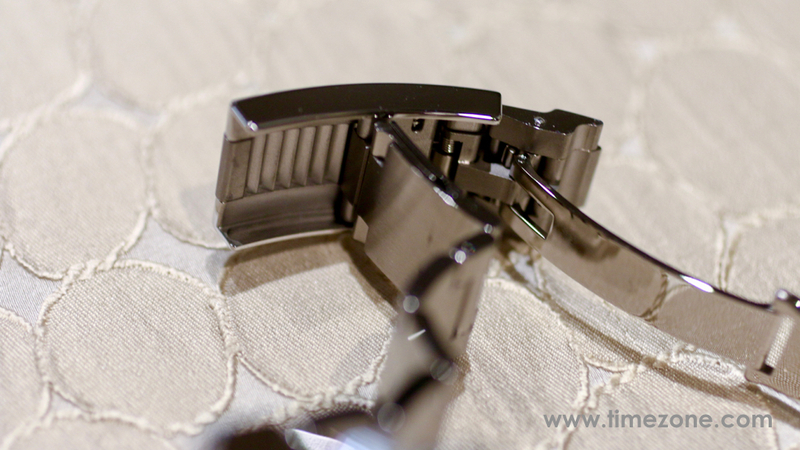 Elegant, simple three hand fitted with the manufacture calibre 3132 automatic movement. 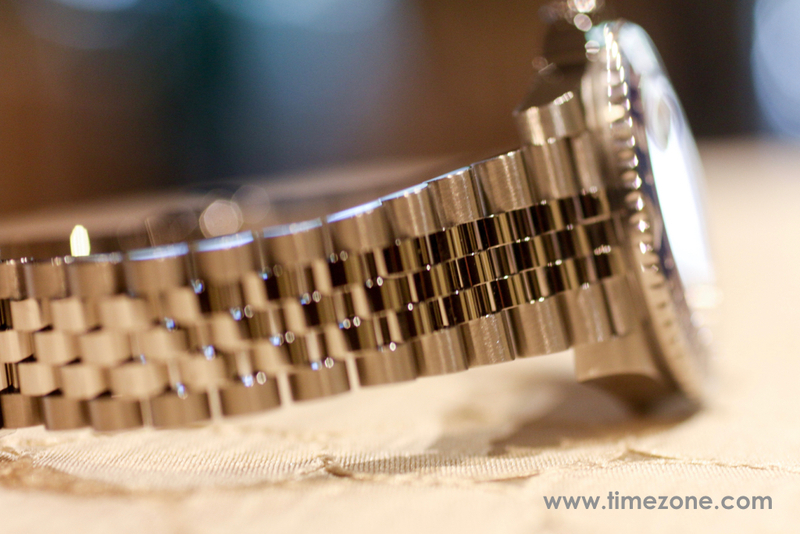 The entire Datejust 31 range is redesigned with new case sides and lugs, and fitted with the manufacture calibre 2236. 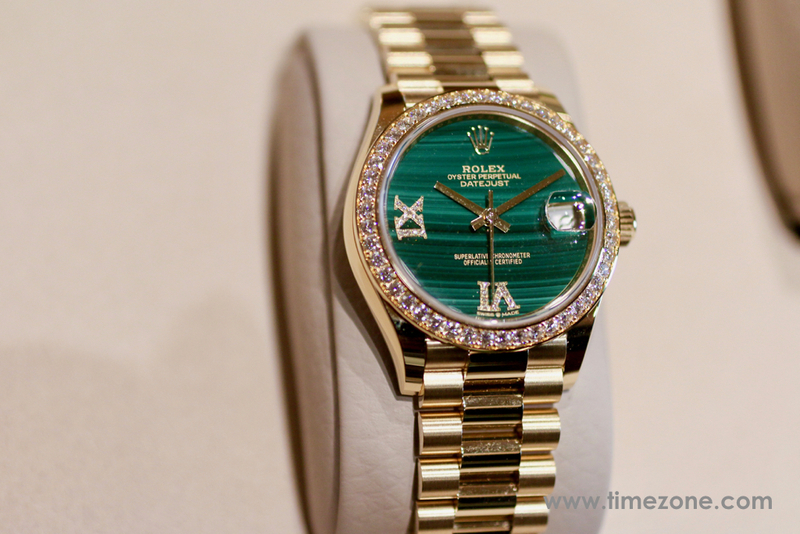 Since I love stone dials, the Datejust 31 Malachite immediately caught my eye. 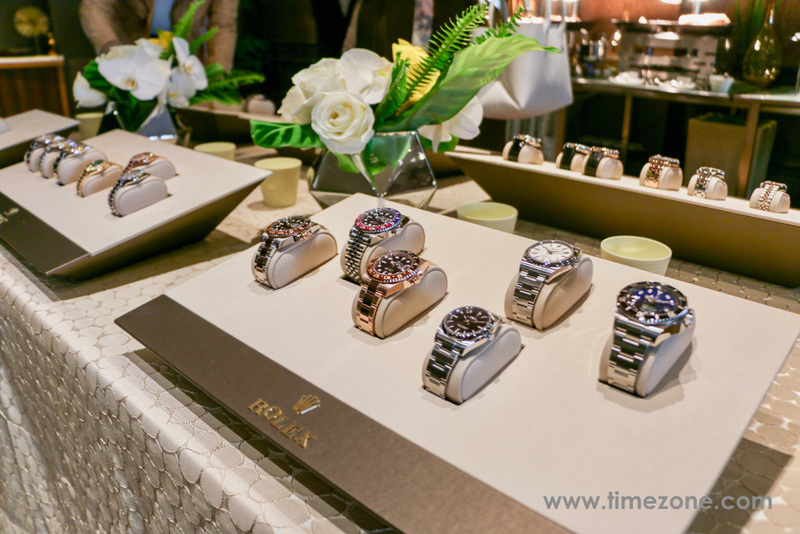 Throughout the years, Rolex experimented with many different hard stone dials such as tiger eye, lapis lazuli and malachite. 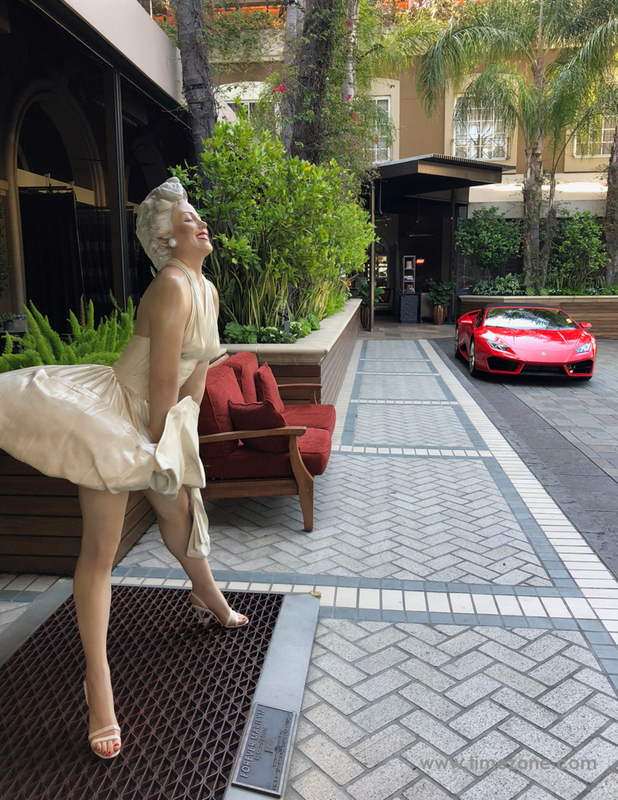 Due to their fragile nature, many of these hard stone dials break during production, making these unique dials especially desirable. 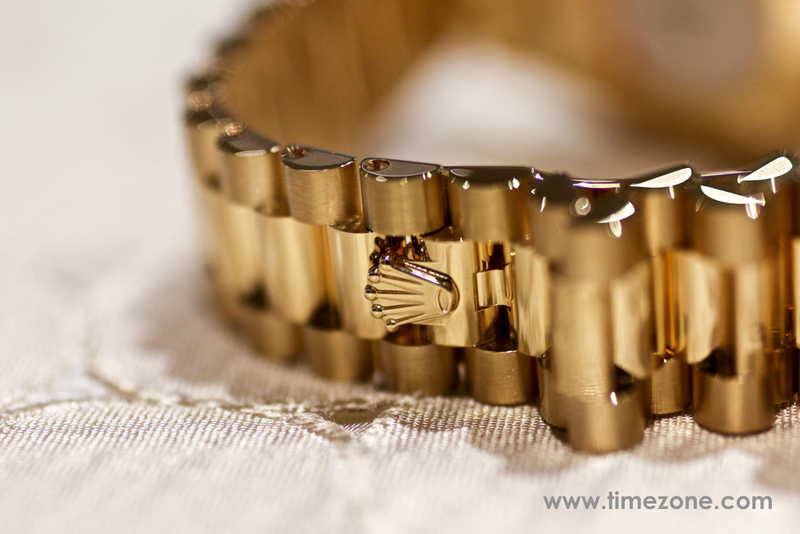 This 31 mm case and bracelet are crafted entirely in 18K yellow gold. 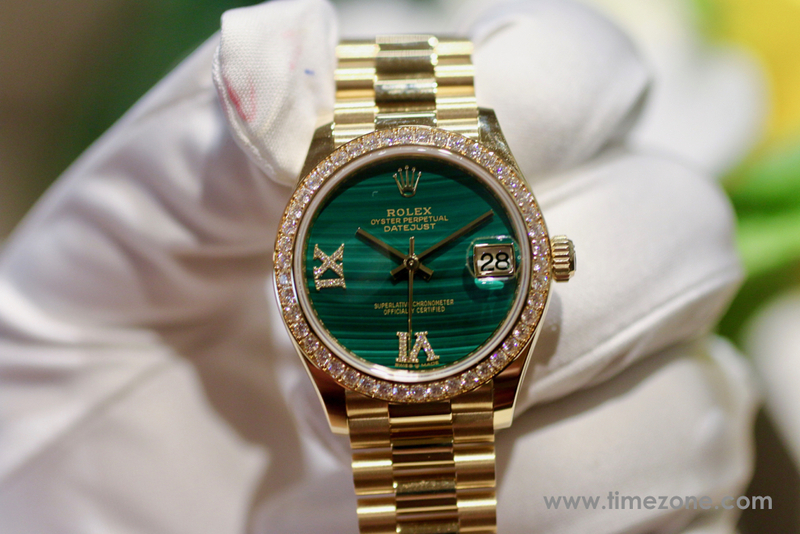 The bezel is set with 46 diamonds. 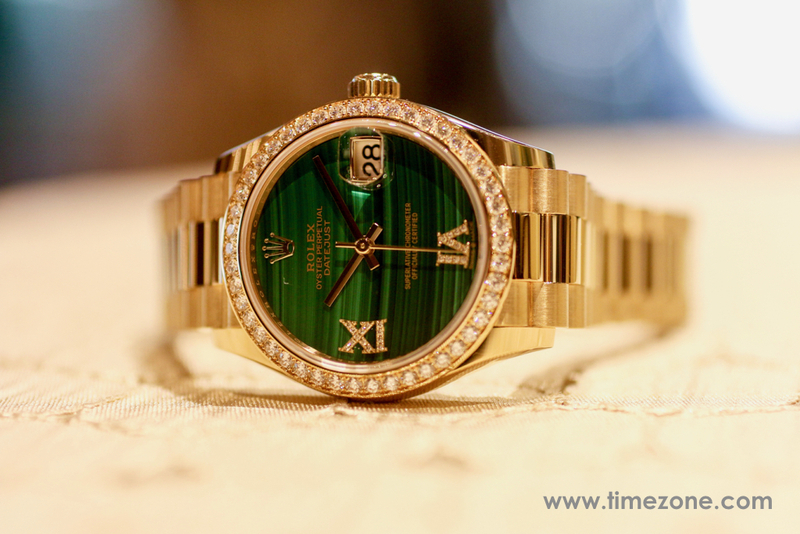 The dial is carved from a slice of malachite, and set with a Roman VI and IX that are crafted in 18K yellow gold and gem-set with 24 diamonds. The hands are 18K yellow gold. 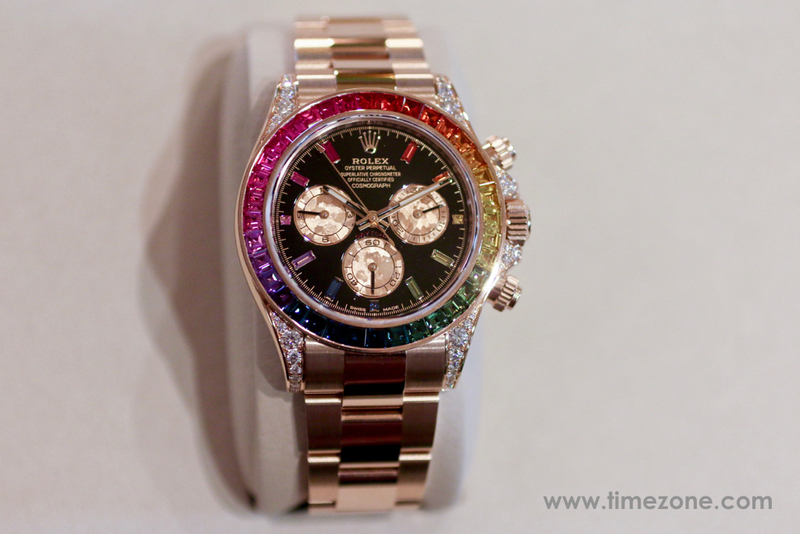 Finally, the Rainbow Cosmograph Daytona is a burst of colorful bling. 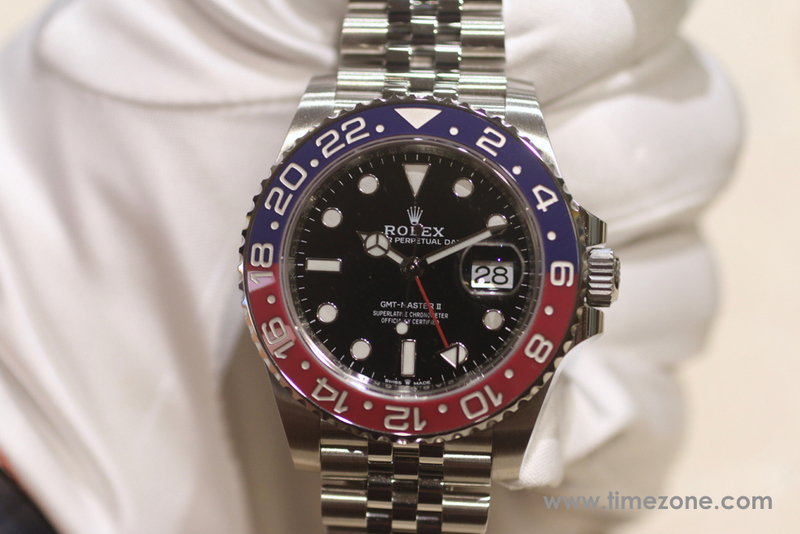 The bezel is set in a rainbow of sapphires. The case is set with 56 brilliant cut diamonds. 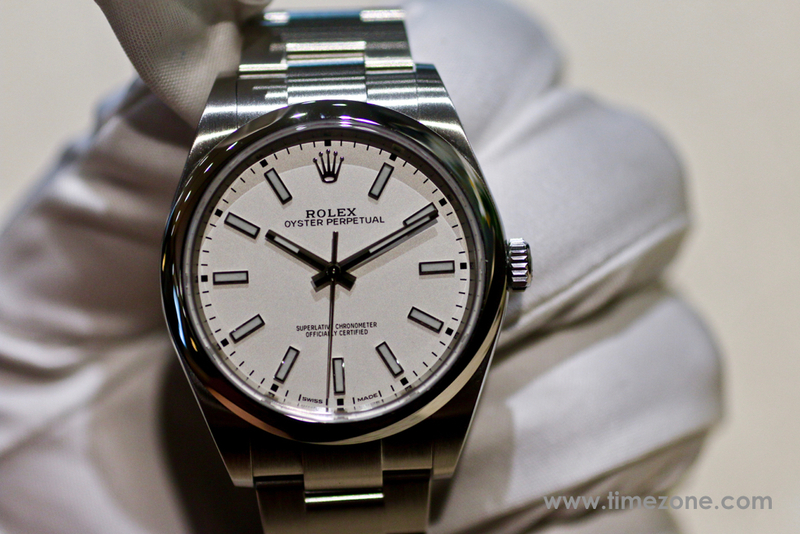 The dial features 11 baguette-cut sapphire hour markers, each matches its corresponding point on the bezel. 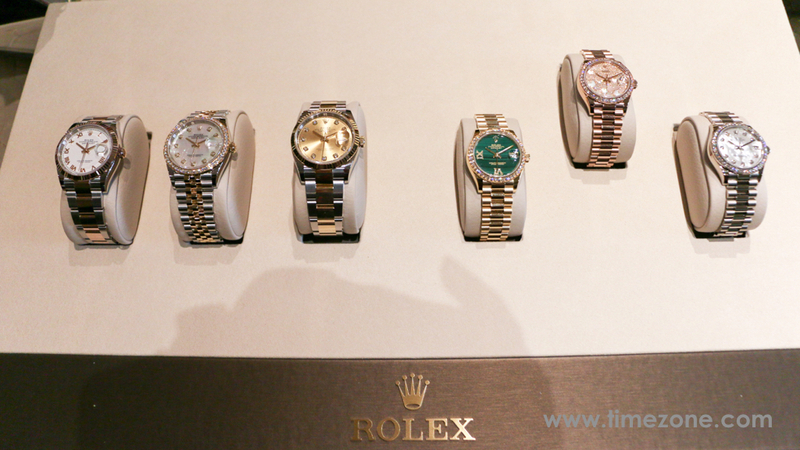 Next Topic: Too much Rolex in my small collection?